Email me with the address provided at the bottom. After we discuss what design you would like, I will then do a sketch or two and after wards will show you the sketches and see which one you like best. After approving the sketch, I will proceed to continue working on the design. As I work on it, you will receive continual updates on my progress, to ensure that everything is coming along as you like. 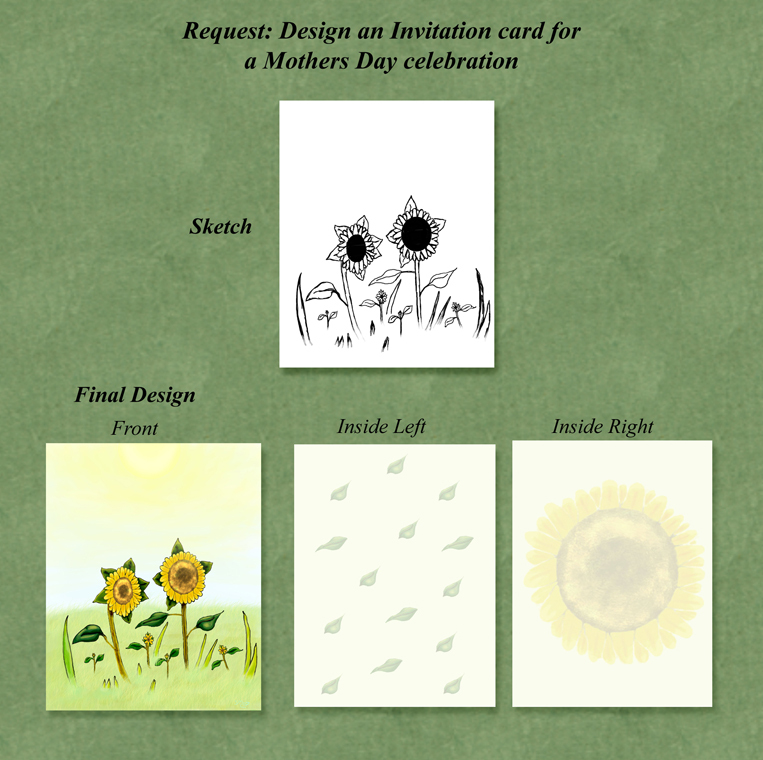 After the Final draft is approved and completed, I will then proceed to create the greeting card itself with whatever text you do or do not want on the card and prepare it for printing and mailing. 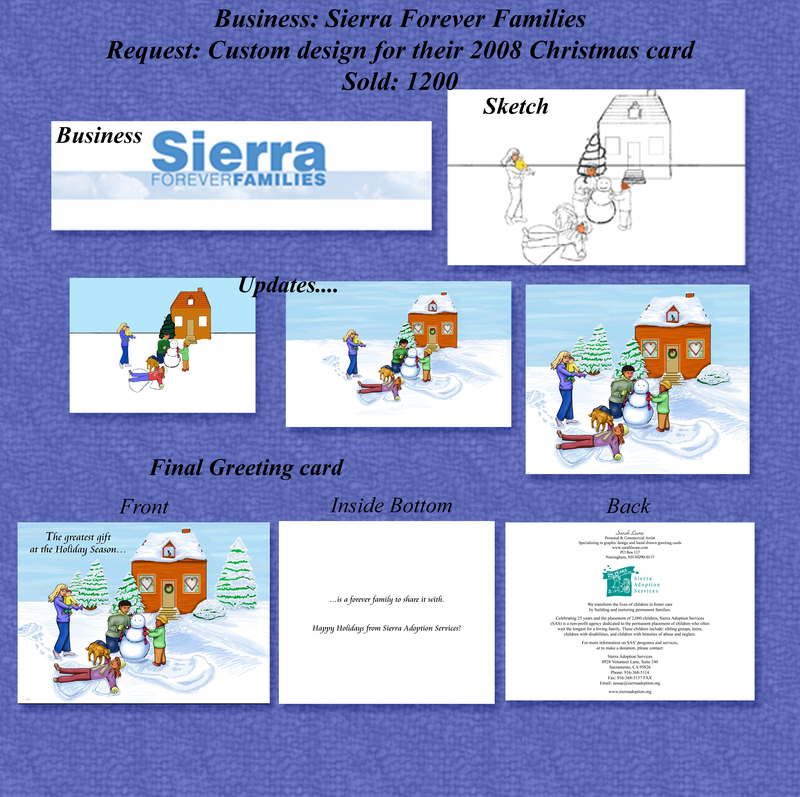 Of course, if you want something for your clients, friend, family, or invitations, of a card or design that is already made, you can, if you would like, go through me directly, or go to my online store. Pricing: Pricing will depend on whether it is for personal or business purposes. 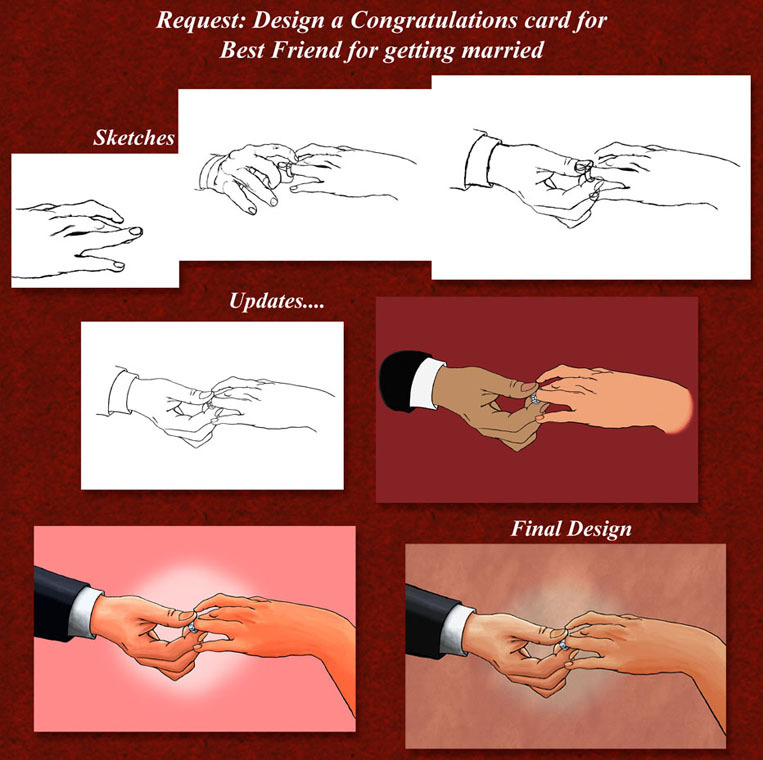 If you only want between 1-25 cards then it will be that amount plus 30 dollars for the work put into making the card. So if you want 1 card then it will be 31 cards and so on. If however, it is for business (such as the given first example above) then I would mainly be charging by the quantity of cards you order. Please allow at least 3 weeks prior to when you need it by in order for me to complete the design. It all depends on how detailed and full or simple the design is as well.